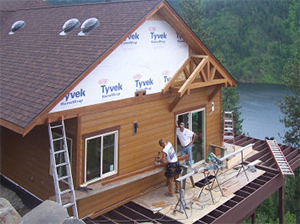 Custom Home Builders - O'Day Custom Construction, Inc.
We take time to understand your dream, making computer-drawn plans from your napkin sketches, or working with your architect. 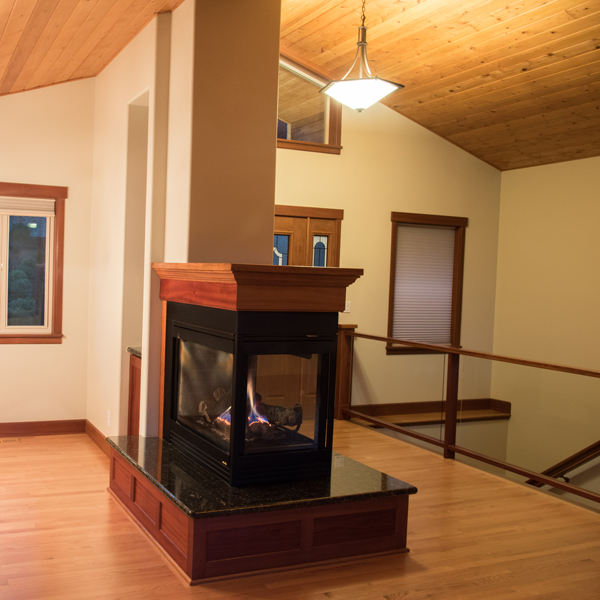 We build one new custom home or building at a time, personally managing every step from permitting to clean up so we finish on time and on budget. 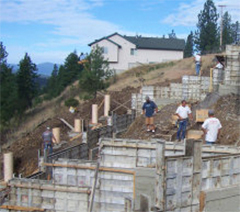 We specialize in foundations for slopes and waterfronts. Do you need a hot tub with a view, a dedicated home theater, a sound- insulated music room, a shop, art studio, sun room, special room for pets or a custom gardening and grow room? Do you want to go green and save energy, or do you need a screened-in porch for relief from allergies? • Remodeling is a special case every time. Paul and Valeta will help you design and decorate unique bathrooms, kitchens, entryway, decks or other additions. Paul’s expertise and experience prevents many of the surprises that plague other builders. • Our hands-on expertise provides low cost and drama free solutions for slopes, waterfronts, building codes, FHA 203 (K) renovations, restoration and repairs. • We strive to keep your life or business as normal as possible during construction. Each site is left clean and secure at the end of every work day. • We take pride in keeping your property and business matters safe and confidential, use only our most trusted sub-contractors and provide close supervision to all workers. • We can work with other professionals to harmonize all elements of design and decor. Cookie cutters are great for baking, but not for designing kitchens. Everyone cooks and entertains a little differently. Whether new construction or a remodel, we can build kitchens suited especially for your kind of cooking and entertaining, and bathrooms designed for elegance, practicality, and ease of accessibility for a long comfortable life in your special space. Entryways announce to your guests who you are. With the right deck or porch on your house, you might find yourself living at your favorite vacation spot. • Are you planning to build on a steep hillside or waterfront? • Is your existing home already on a foundation that is moving, settling or cracking? Do you need pilings driven into the ground? • Do you need a permanent, cost-effective repair for damage from leakage, storms, trees, mildew or rot? • Do you want to solve problems of snow and ice load before they happen? • Was there a code problem or building issue discovered after you bought a property? Paul’s skills provide proven, cost-effective, long-lasting solutions. Copyright © 2017 O'Day Custom Construction, Inc. - All Rights Reserved.